From May 1 through 6 this week the town of Gernika-Lumo, in Basque Country, Spain, will host the Fifth International Congress of Peace Museums. This Conference provides opportunity for representatives of peace museums, as well as those with an interest in the arts and culture of history or human rights, to come together, share information and ideas, build networks, facilitate collaborative projects, and promote the creation of museums of peace around the globe. For further information about the conference, click here. 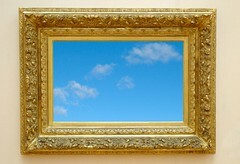 A web site devoted to the work of peace museums is under construction now and can be found at www.peacemuseums.org. For adventurous travelers interested in visiting peace museums in locations throughout the world, the website Offbeattravel.com provides a short list of museums devoted to peace, tolerance, and civil rights.